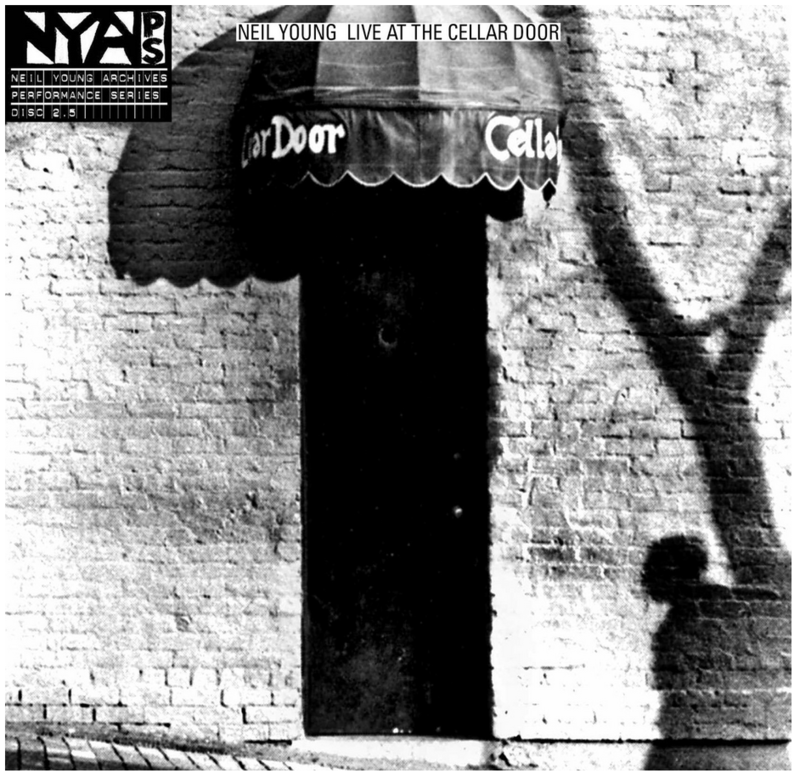 Neil Young continues his “Archive Performance Series” with the third installment, “Live At The Cellar Door,” recorded during Young’s six night stand at the famed Cellar Door in Washington, D.C., between November 30th and December 2nd, 1970, releasing on December 10, 2013. According to Rolling Stone, The six ‘Cellar Door’ shows marked Young’s first concerts after a nearly five-month break to which he spent some of that time writing new material. The shows featured the debut performances of “Old Man,” “Bad Fog of Loneliness” and “See the Sky About to Rain.” It’s also one of the few concerts where he played “Cinnamon Girl” on the piano. The two shows Young played per evening essentially served as a public rehearsal for his two-night stand at New York’s Carnegie Hall on December 4th and 5th, 1970. At the time, Crosby, Stills, Nash & Young had quietly broke up after their summer tour wrapped that July, which no one was the wiser. Stemming from Young’s “Archives Vol. 1” set, “Live At The Cellar Door” marks the third release from his “Archive Performance Series,” after “Live At Massey Hall” (also a solo performance) and “Live At The Fillmore” (with band, Crazy Horse), which will be available as a two-disc set on CD and 180g vinyl. This entry was posted on Friday, October 25th, 2013 at 5:33 pm	and is filed under Music, News. You can follow any responses to this entry through the RSS 2.0 feed. You can skip to the end and leave a response. Pinging is currently not allowed. « The Jimi Hendrix Experience “Miami Pop Fest” Vinyl Coming Soon!! !